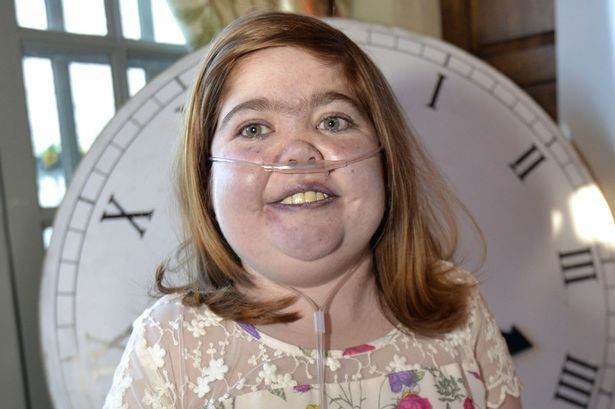 Plucky Kirsty died in the early hours aged 20 – having defied medics who gave her just six weeks to live at the age of four. Kirsty, born with a back-to-front heart and with her other internal organs displaced, went on to lead a £7.5million fundraiser for a children’s hospice. Kirsty, from Wythenshawe, was born a seemingly healthy 7lb 2oz, but doctors soon warned her parents something was wrong. At eight months she spent 15 days on life support. She later had open heart surgery – the first of nine cardiac procedures and two other major operations to come. Through grit, willpower and a smile that seemed a mile wide, she became a Pride of Britain winner and national treasure. But the brave youngster could not win her last battle. She was admitted to Manchester Royal Infirmary on Tuesday with a kidney infection, suffered a cardiac arrest on Thursday and died earlier today. She was surrounded by loving dad Steve, 58, mum Lynn, 49, and sisters Zoe, 26, and Kim, 23. Susie Mathis, Kirsty’s friend and co-fundraiser, said of her pal: “Her little heart really could not take any more. 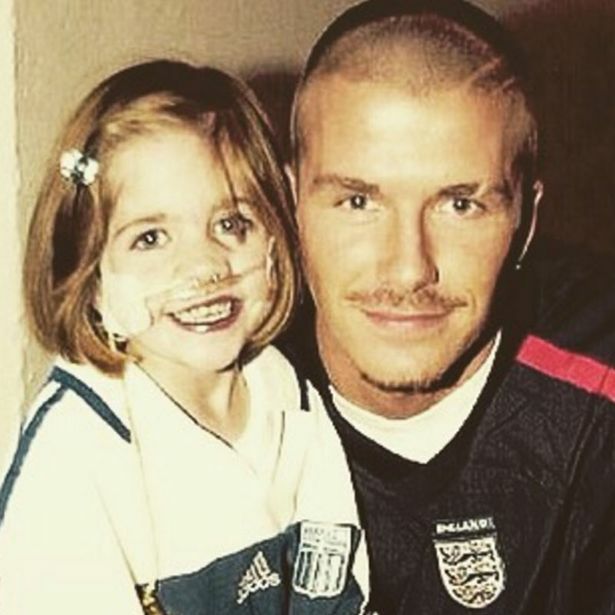 Becks, writing on his Instagram page , said: “Words cannot describe how amazing this young lady has been. "I met her when she became the nation’s and my good luck charm for the Greece game. “We also met the Queen in Manchester so you could say we have spent some amazing moments together. “It was an inspiration to meet such a brave young lady with so much drive for helping others. Kirsty was mascot for the 2001 Greece game. Becks scored a last-gasp free-kick to clinch England’s place at the World Cup finals – and hailed Kirsty’s calmness for quelling his own nerves. Beckham and wife Victoria went on to meet Kirsty time and again at ceremonies honouring her for supporting cash-threatened Francis House hospice in Didsbury, Greater Manchester.